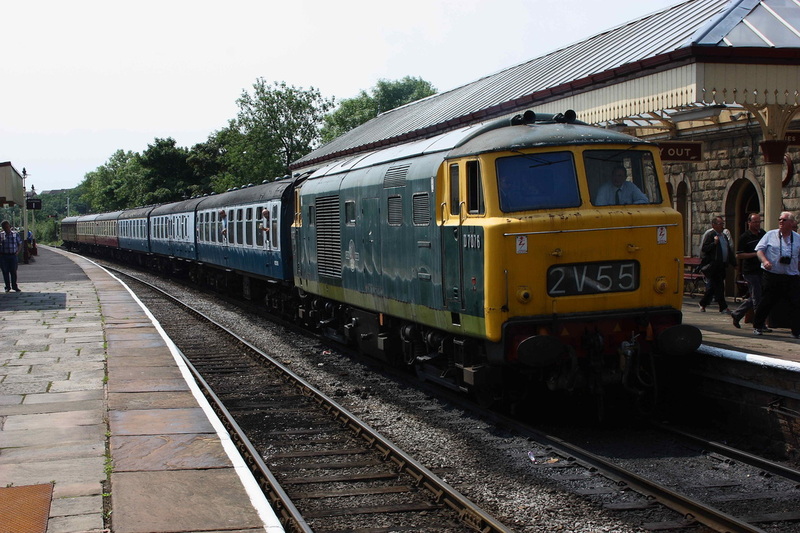 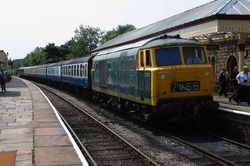 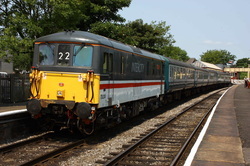 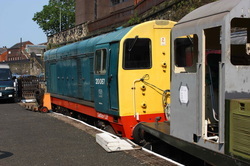 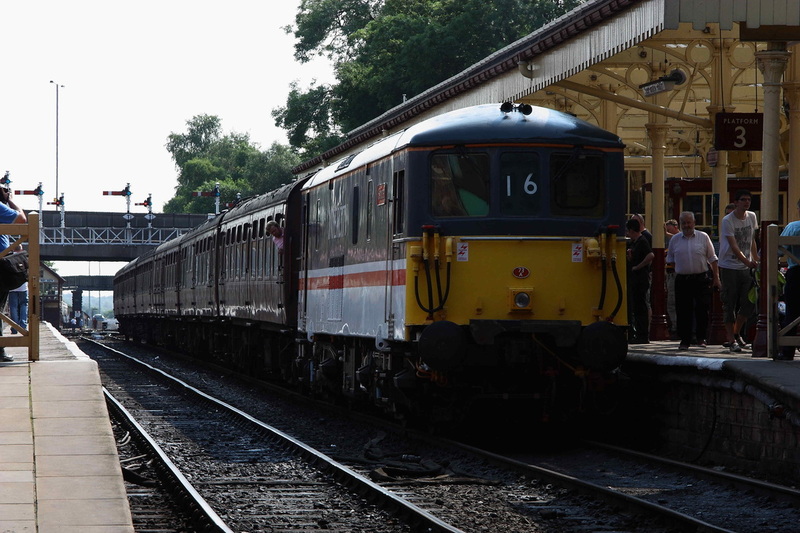 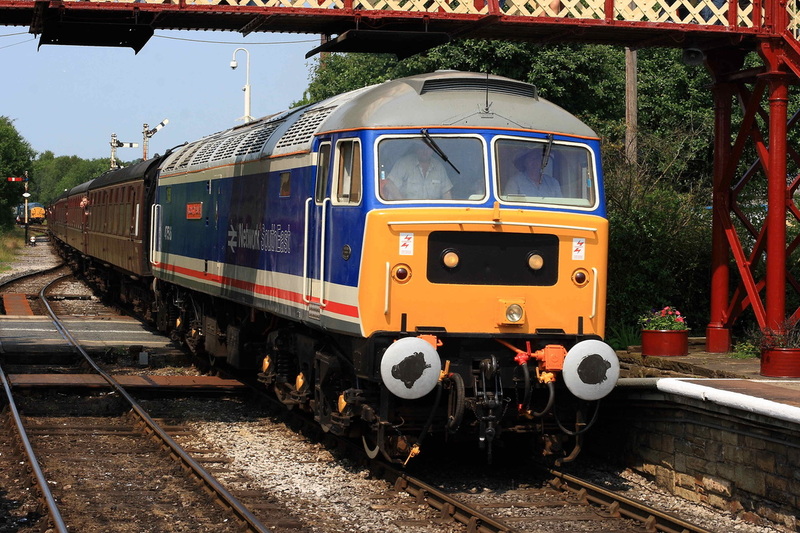 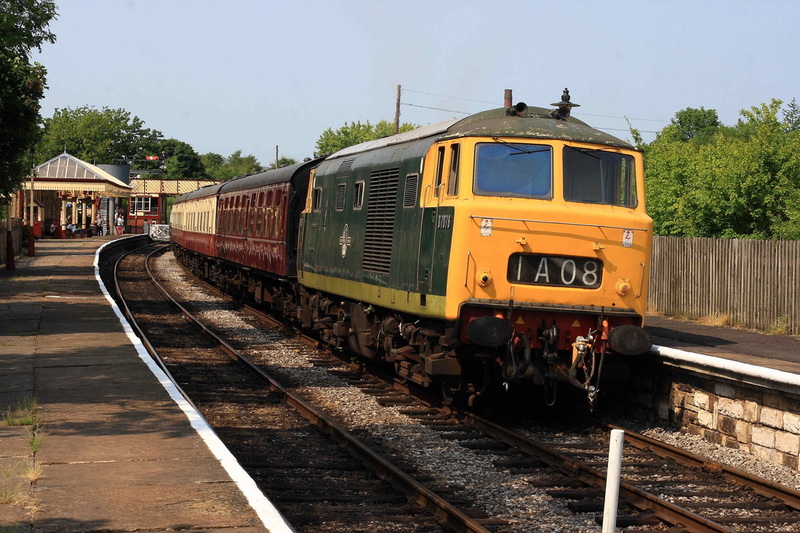 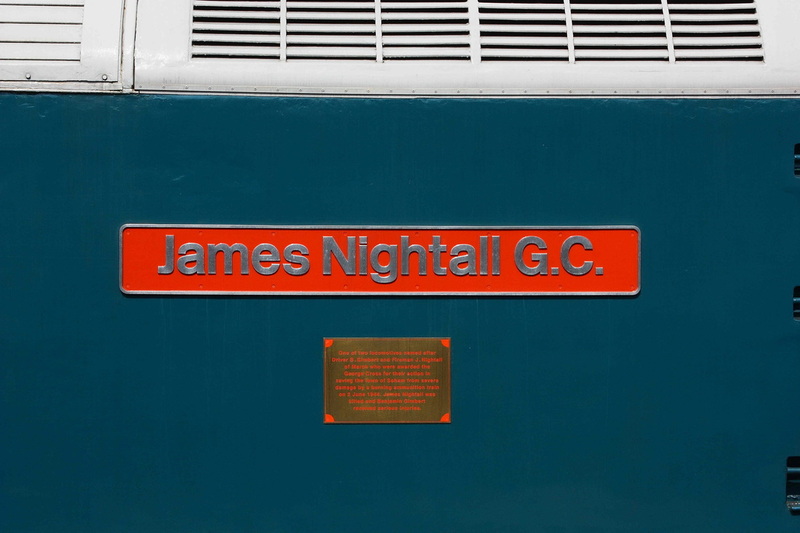 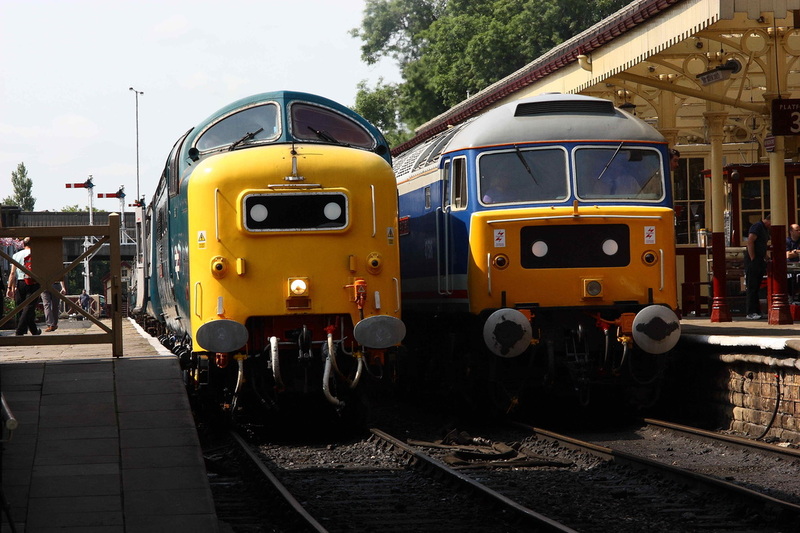 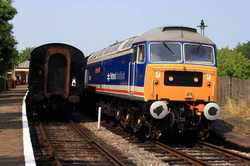 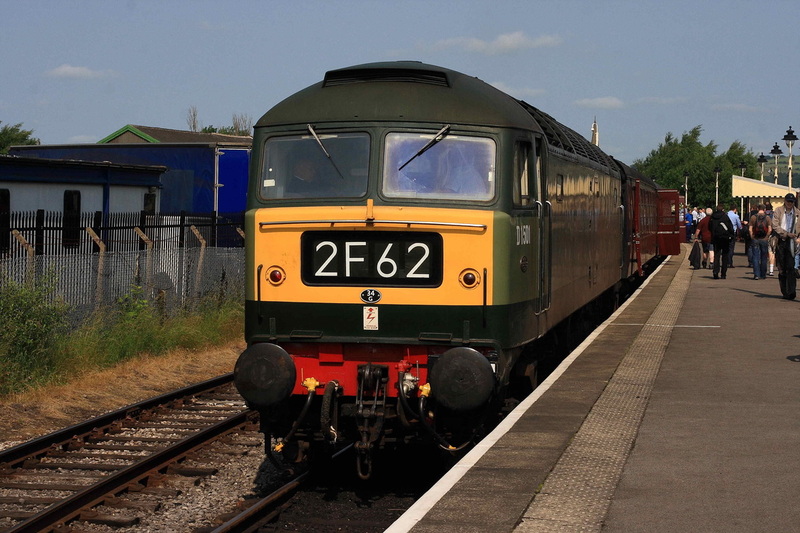 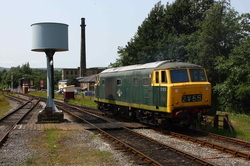 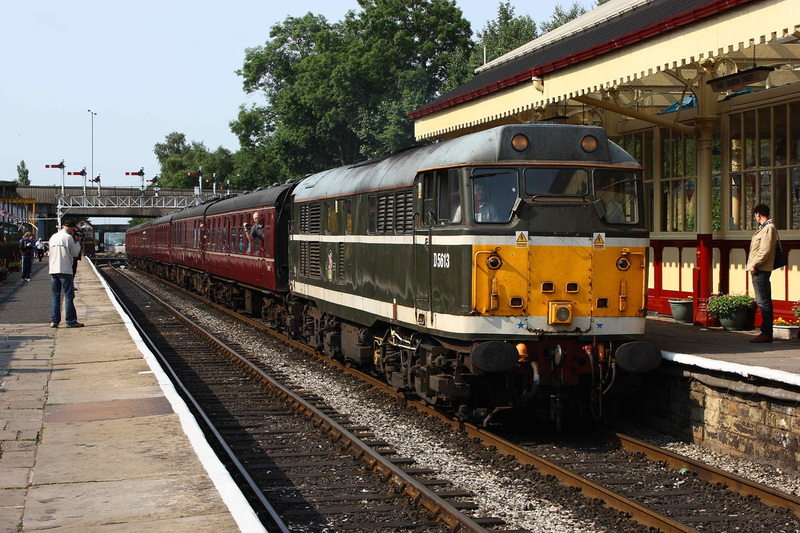 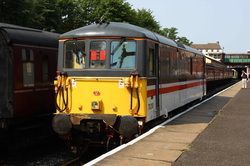 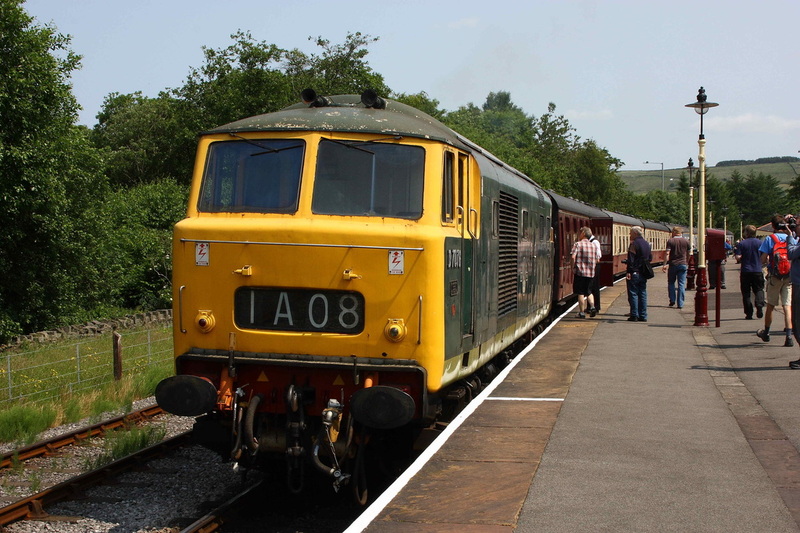 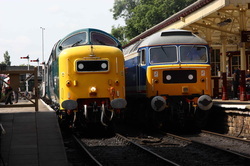 A visit in superb weather to the annual diesel gala in early July, with several visitors from the Mid-Norfolk on offer. 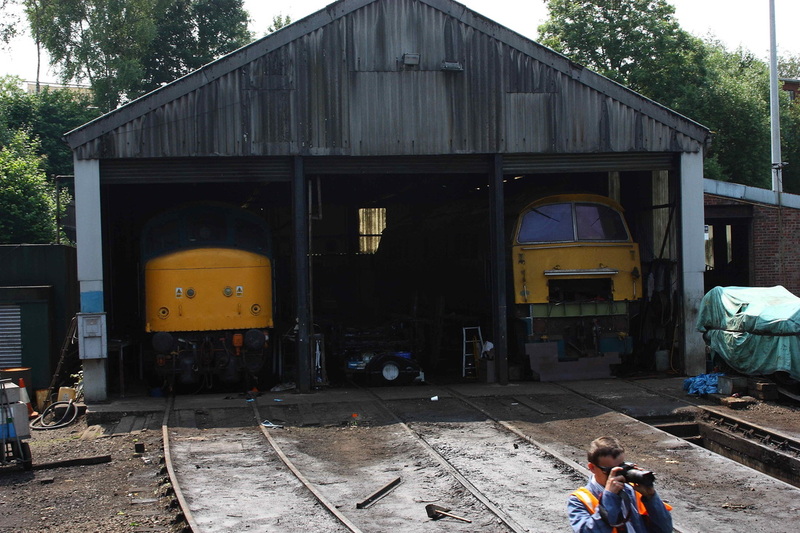 Unfortunately not able to get the best shot of 47596, but managed haulage behind all the visitors and the Hymek. 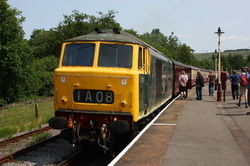 A good day out! 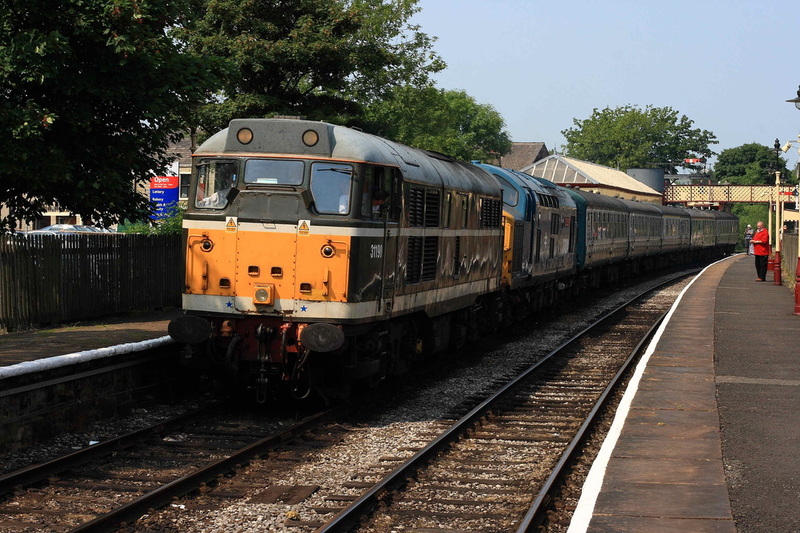 47596 hauled the return from Heywood, 2J69 10.25 departure. 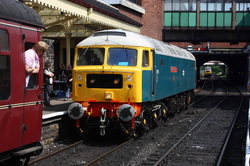 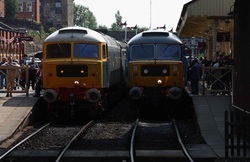 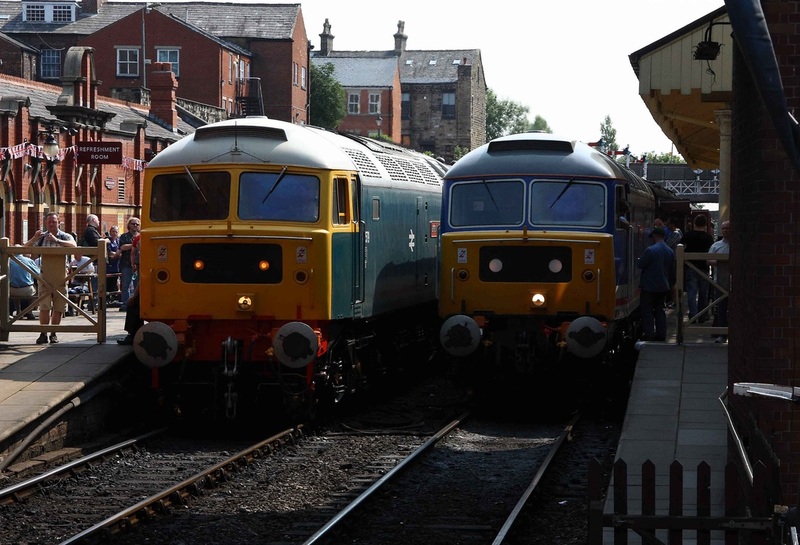 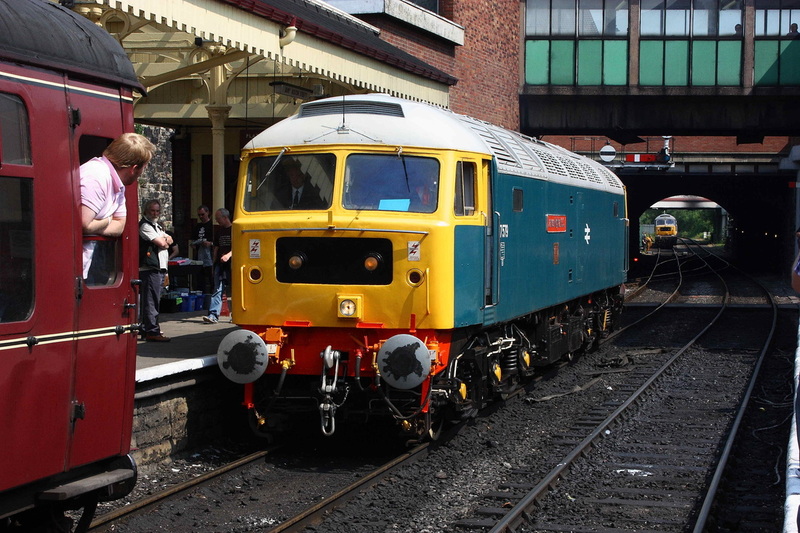 And then 47579 ran onto the front of the stock to head the 11.00 departure to Rawtenstall. Another loco looking in need of some attention, Hymek 76 stands at Ramsbottom. 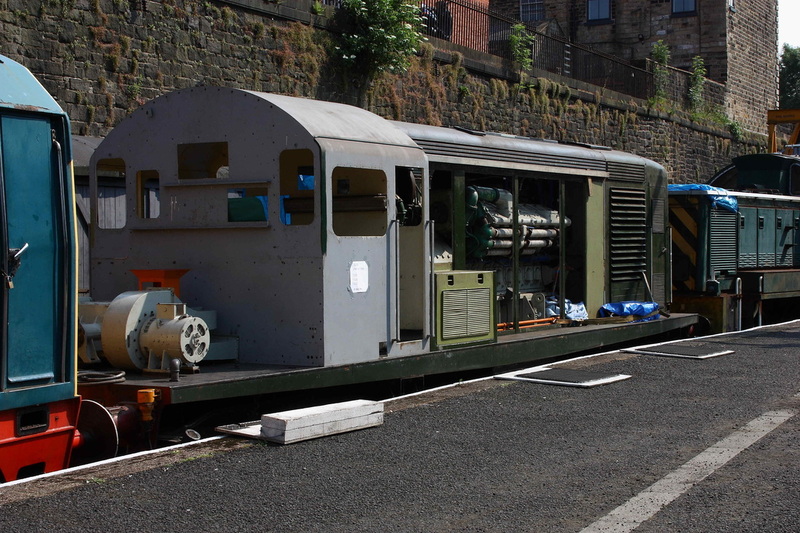 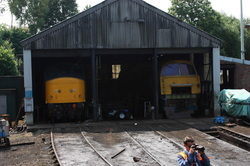 The Class 15 undergoing restoration. 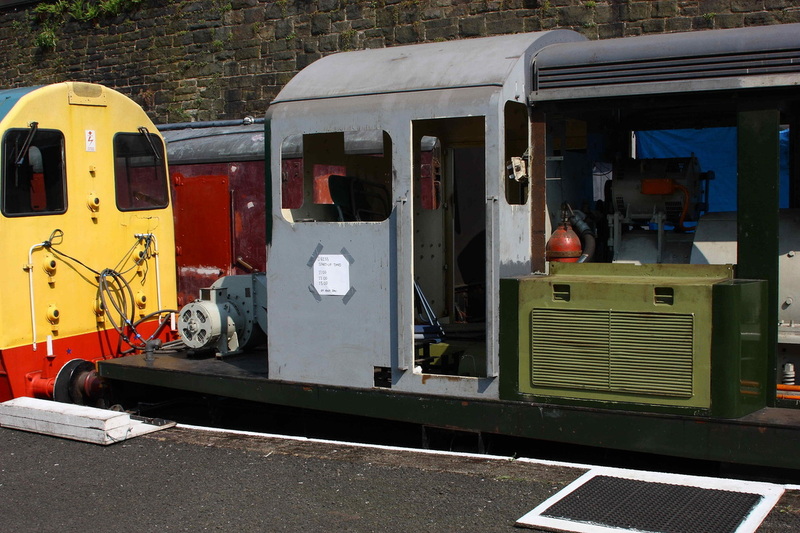 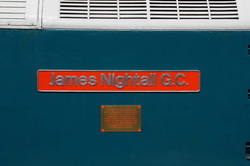 The sign indicates a loco start-up 3 times during each day, which earlier had produced a lot of sustained clag. 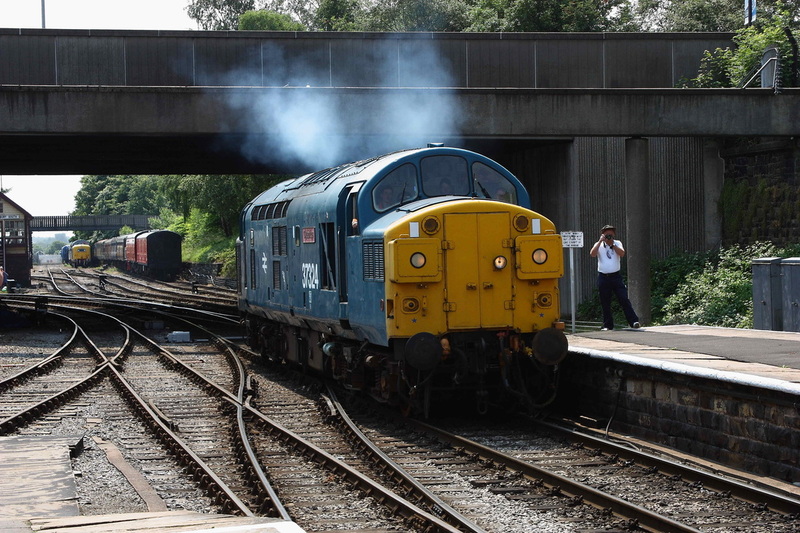 Sounded good though!